In February 2018, the Naval Sea Systems Command (“NAVSEA”) confirmed that the Seaport-E Multiple Award Contract (“MAC”) vehicle will be ending in 2019 and replaced with Seaport Next Generation (“Seaport-NxG”). NAVSEA started the Seaport contract vehicle in 2001 to maximize savings in procuring Professional Support Services (“PSS”). At the time, NAVSEA had more than 450 separate PSS contracts supporting its requirements. What started with 21 prime contractors grew into almost 3,200 prime contractors on Seaport-E. With such growth in contractors, the administrative costs to manage all of the schedules also increased. Whereas Seaport-E is broken down into seven zones based on regions across the United States; Seaport-NxG will no longer separate contract holders into zones; all MAC holders will have the opportunity to submit proposals for any zone. Another major change in Seaport-NxG will be in regards to the functional areas. Seaport-E contains 22 distinct functional areas; Seaport-NxG is expected to have two broad functional areas – Engineering Support Services and Program Management Support Services with 29 subcategories between the two large functional areas. One additional change between the contract vehicles whereby Seaport-E only required a contractor to have prior Department of Defense experience, Seaport-NxG is expected to require more narrowly tailored experience specific to the Department of the Navy, which must be verifiable through the Contractor Performance Assessment Reporting System, government endorsement, or the equivalent. The Contractor shall, in response to task orders issued under this contract by the Naval Sea Systems Command, Naval Air Systems Command, Space and Naval Warfare Systems Command, Naval Supply Systems Command, Military Sealift Command, Naval Facilities Command, Office of Naval Research, or the United States Marine Corps, the Contractor shall provide services that potentially span the entire spectrum of mission areas and technical capabilities supported by the Department of the Navy (DON) ordering activities. Services within the 2 Categories with 23 functional area subcategories identified below may be performed under this contract for new and existing product areas, programs, or missions, which are assigned to these activities during the life of the contract. The following representatives may be contacted for any questions about the RightDirection Seaport-NxG vehicle, including general information on our contract, customer satisfaction, and how companies can join our team. RightDirection understands the value small businesses provide to procurements such as Seaport-NxG. RightDirection possesses the multidiscipline experience in all service categories and provides a skilled, trained, and knowledgeable work force with capabilities in all 23 functional areas. RightDirection has assembled a diverse team business to perform the work on Seaport-NxG and to assist the government in fulfilling its mission. 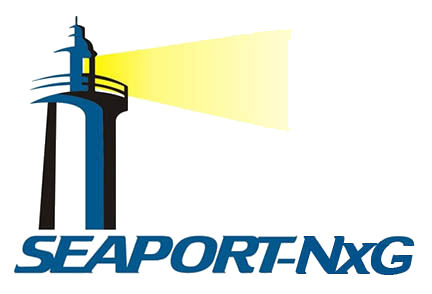 The RightDirection Seaport-NxG Team has the combined ability to support Seaport-NxG’s complex tasks at the highest level of quality, while maximizing small business participation. RightDirection is commitment to its customer focused, performance driven quality policy begins at the highest level of management who are committed to the implementation of the Quality Management System (QMS) to meet or exceed customer requirements through proven work methods including ISO 9001:2008, ISO 9001:2015, ISO/IEC 20000, ISO/IEC 27001 and CMMI and delivering what we promise with flexibility, quality and integrity. Our President & CEO, Joey Hutchins, leads our commitment to excellence and continuous improvement by emphasizing exceeding customer expectations, highest quality, low cost, innovation and inclusion, safety, technical excellence and high ethical standards. RightDirection’s high degree of customer satisfaction with our products and services is attributed to our highly skilled people, proven processes and continuous improvement at the corporate and program levels. RightDirection’s QMS provides a robust framework for monitoring and maximizing quality on SeaPort-NxG task orders. To ensure consistent quality performance, work processes for each contract and task are documented and the pertinent performance measurements associated with each process are defined. These metrics address such key factors as cost (budget), schedule, work volume, and work quality. Performance against each metric is tracked as an integral part of our work activities, and the real-time status information is maintained in our performance management systems so customers and managers can have up-to-date information on all tasks. Process audits use procedures and checklists defined for the specific work instructions to verify compliance and measure and correct nonconformance. Peer reviews, both formal and informal, performed by team members and subject matter experts (SMEs), to validate deliverables and work products and monitor quality through the measure, analysis, and correction of issues found. Quality reviews use checklists to verify compliance with contractual requirements and applicable standards. Checklist compliance monitors performance. Performance report monitoring reviews, by program managers and SMEs, of system-generated performance reports to validate the quality of the reports. Performance reports from management systems and processes provide consistent measures of program performance, enabling preventive rather than corrective action. Customer assessments, supported by line management visits with customers, ensure the timely identification and resolution of quality issues. Our quality processes combine the capabilities of the program line organization, the corporate management structure, and our administrative organization to ensure that all contract deliverables are quality products and produced on time. All program personnel is responsible for conducting work in accordance with contract requirements and our high technical standards.